A temporary program that allowed nearly 59,000 Haitians to live and work in the United States will end in 2019, the Department of Homeland Security announced Monday. The administration determined conditions have improved significantly nine years after a massive earthquake devastated the Caribbean island. "Based on all available information, including recommendations received as part of an inter-agency consultation process, Acting Secretary Duke determined that those extraordinary but temporary conditions caused by the 2010 earthquake no longer exist," a DHS statement said. "Thus, under the applicable statute, the current TPS designation must be terminated." 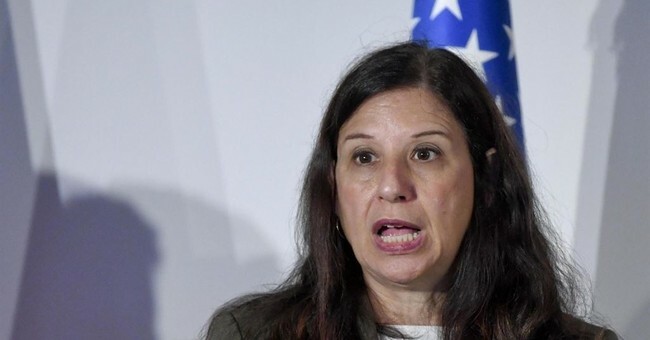 Haitians living the Temporary Protected Status will have until July 22, 2019 to leave or seek a different legal immigration status, acting Secretary Elaine Duke said. Under TPS, citizens of designated countries that have undergone a major natural or man-made disaster are allowed to remain in the United States legally until conditions in their home nations recover. While Haiti is still the poorest country in the Western Hemisphere, senior administration officials said Monday that Duke "determined that temporary conditions as result of the earthquake no longer exist and as pursuant to statute [TPS] must not be extended." Haiti was given the TPS designation after a massive 7.0-magnitude earthquake rocked the island in 2010.